Arcade and platform games are among the games we love the most here on Android Review Center. It is true that Android Smartphones should be used as mobile offices and mobile communications centers but their third role as entertainment centers is just as important and arcade games are (or at least, should be) very entertaining. What's so fun about arcade games? Well, first and foremost is their simplicity. You can't ALWAYS play complex strategic games where you have to advance 9 levels and wait two months before you can field a decent army, or a virus infection game that makes you learn enough medical vocabulary to shame a Center for Disease Control professor to shame. Well, does Super Penguin Hop have what it takes to make it a good arcade game? 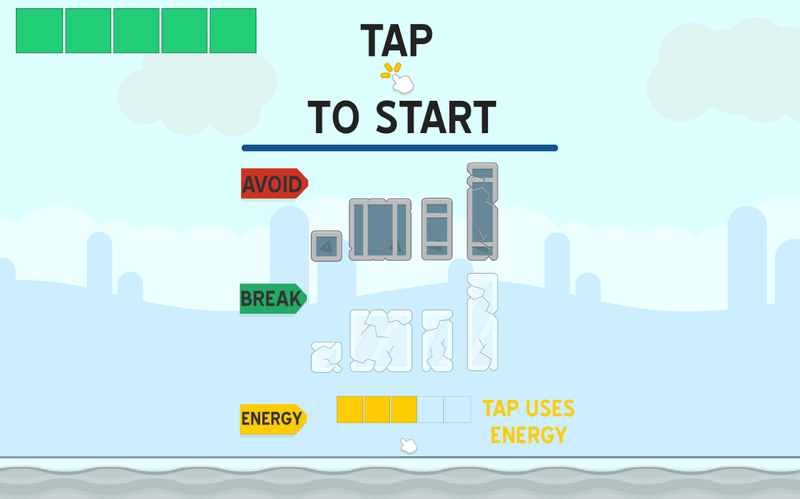 Super Penguin Hop is quite a simple game, though it has its subtle and interesting complexities. The character the player gets to play is a cute penguin running for its life while being chased by a voracious seal. Yeah, seals are not always cute. Try googling Leopard Seal. 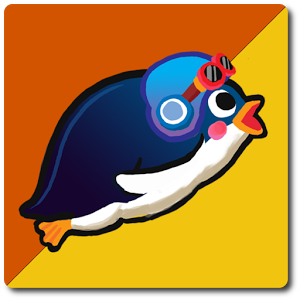 Anyway, our penguin must jump over and through obstacles while staying out of the jaws of the pursuing seal. 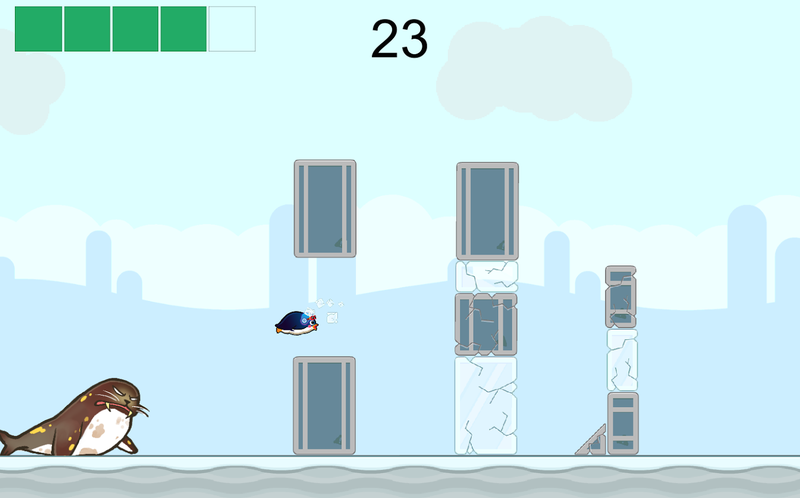 Movement is by flapping the penguin's wings by a simple touch on the screen, though as penguins are not renowned flyers to say the least, the player must watch his or her energy bar. 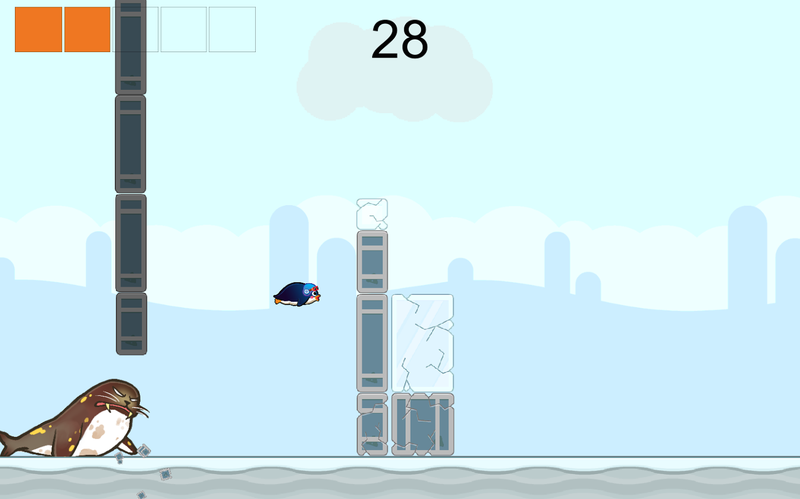 Now, the bird can jump through ice packs but not stone blocks and the player must carefully guide the penguin through to safety. The game has several strong points. Its music is retro and fun! You'll start humming it too after a few minutes of playing the game. The characters and the game's environment are also simple retro style graphics but the studio has put enough details into each to make every player feel for his penguin and fear its pursuers. So, everyone on the lookout for that quick game that can be played for a few moments to relax, is both simple and challenging, and has very engaging retro style graphics and music, he or she cannot pass up an opportunity to test a great arcade game. Just be careful of the seal's ravenous jaws!